When I set out to do a project, I typically find out it is more complicated than originally anticipated. Not so this time! 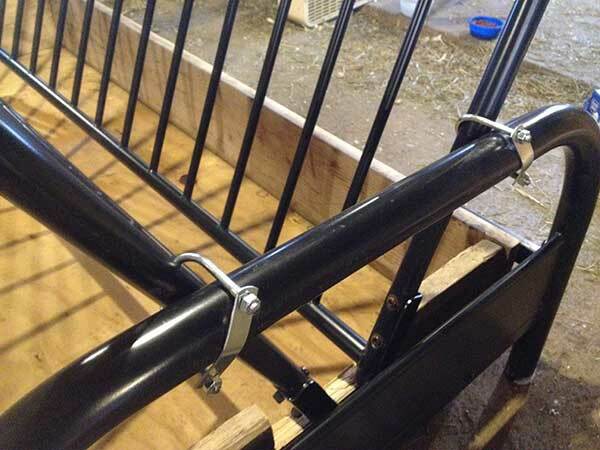 Making this hay feeder was not only less than $30 to complete, but it turned out being much less work than expected. I went into the project expecting to do some cutting, grinding and welding. It turns out none of that was required. 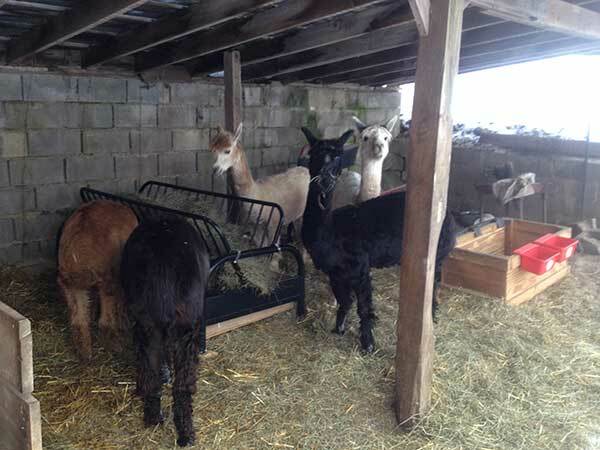 Here is what you can do to make your own hay feeder for goats, sheep, alpacas or other small livestock. 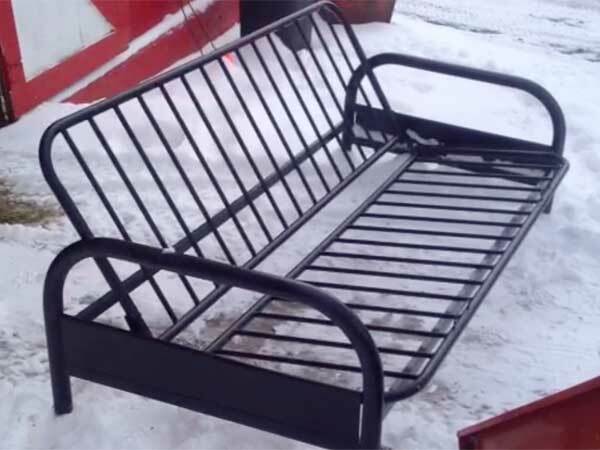 I found a basic, black, metal futon frame on Craigslist for $20. The hinge on the futon is slightly off-center. 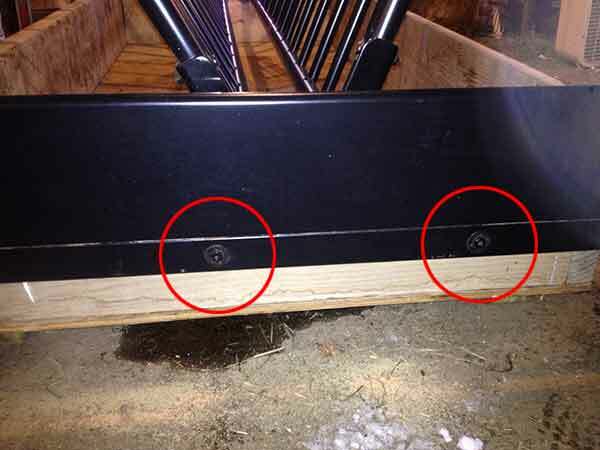 You can remove the 4 bolts (2 on each side) connecting the interior frame, rotate it 180-degrees, and reattach using the same bolts and reusing the existing bolt holes. This will nearly center the bend of the frame. You will need four 5-inch u-bolds. Use them to attach the interior frame to the arm rest once you decide on the desired angle of the two halves of the hinged interior frame. At this point, your feeder is basically done. However, I suggest you do one more step. I happened to have some spare lumber lying around from previous projects, so I fortunately did not need to buy any additional. The following is a list of everything I had to purchase to complete this project. 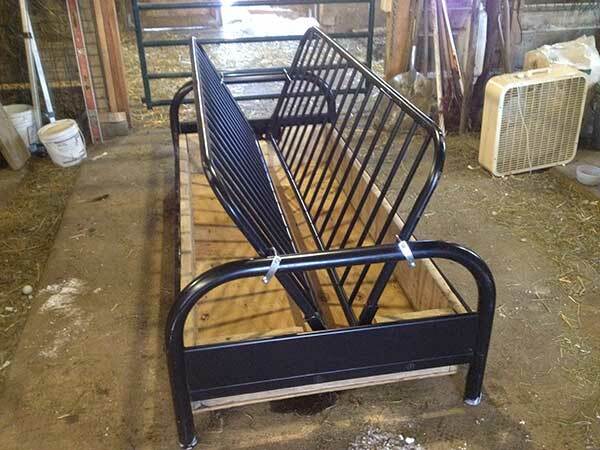 This hay feeder is twice as big, and literally 1/10 the cost of our store bought hay feeder. It works great. My Amish neighbor did the same thing for us this past Spring. Same metal furon with tube frame. It worked for a while but we found that we still wasted a ton of hay. It is a neat idea though if someone has none. We are working on making one of these. What did you do to make the V shape smaller than 90 degrees? We are finding that that is as small as it gets. Hi Karen. We didn’t have that problem. Thinking out loud hear, I’m wondering if you “flipped it around”. Meaning, we disconnected the part that usually supports the mattress from the side armrests…rotated it 180-degress…and then reattached it. With the model of frame we had, we found that it could fold up less than 90-degress.